A blog to fulfill my writing desire and your reading desire. 90th Academy Awards: ‘The Shape of Water’ wins best picture. The 90th Academy Awards took place on March 4th, 2018 (Sunday) in Dolby Theatre, Los Angeles. Well, it’s Monday’s morning (the next day) for us in Asia to catch the ceremony live. I am very excited for this year’s result as I watched a lot of the nominated films this year including all the 9 films nominated for best picture. Well, for your information, the films nominated are the ones released last year (in 2017). Jimmy Kimmel hosted the ceremony for the second time consecutively and he did quite well. The best picture mix-up error made last year became the highlight of his talks this year besides than the currently viral issue of empowering the females in Hollywood. Opinion: I’m so delighted that ‘The Shape of Water’ wins best picture for this year when the race is too close to call. This movie is certainly my best out of the 9 nominated films. It has a daring story, amazing performances by lead and supporting cast, beautiful score, mesmerizing production design, great cinematography, and fantastic direction. What more can you ask for? The movie excels in almost all categories and it is further proven by securing 13 nominations in the Academy Awards (the biggest ever this year) and winning 4 (also the biggest winner). I’m predicting earlier that ‘Three Billboards Outside Ebbing, Missouri’ will win after its triumphant victory in Golden Globes, SAG and BAFTA although I don’t wish too because I didn’t enjoy the movie. I’m very happy for ‘The Shape of Water’ winning in the end to my excitement. It has now won the Golden Lion, Critics Choice, PGA, DGA and the Oscar. Opinion: I’m okay with Frances McDormand winning (also very much expected) but I would prefer to give this win to someone else who has not win an Oscar before. Sally Hawkins is incredible in ‘The Shape of Water’ and it’s a pity that she lost here. Frances McDormand is amazing in ‘Three Billboards Outside Ebbing, Missouri’ by the way. I like her more and more after seeing her going on the stage in the past two months receiving Best Actress trophies and giving speeches with style. Opinion: Expected again. It is finally the year for Gary Oldman, a great actor to take home an Oscar. Although I do not enjoy his performance as Winston Churchill in ‘Darkest Hour’ (the movie is also boring to me), but I’m still fine with him winning just like how I was fine with Frances McDormand winning. It is more like a career award for him. Timothee Chalamet is actually the best among these 5 nominees in performance wise but he is too young and too early for an Oscar. I believe there is much more chance for him to get nominated and winning later in his future career (which is going to be bright). Opinion: Expected outcome too. I’m happy that Guillermo del Toro wins for his amazing directing in ‘The Shape of Water’. I think only his visionary mind would be able to accomplish such movie. Now all the Three Amigos (Alfonso Cuaron, Alejandro G. Innaritu and Guillermo del Toro) from Mexico have won best director in the Oscars. Opinion: Also expected. Allison Janney gave a memorable performance as a fierce mother in ”I, Tonya’. Her character stood out more than the other strong contender, Laurie Metcalf who also portrayed a mother (in ‘Lady Bird’). Opinion: Yes…expected too. Besides Frances McDormand, Sam Rockwell steals the show in ‘Three Billboards Outside Ebbing, Missouri’. Now, Gary Oldman, Frances McDormand, Allison Janney and Sam Rockwell became the first group in history to have a clean sweep in all the five major televised awards show in the same year. All four of them won in Golden Globes, SAG, Critics Choice, BAFTA and the Oscars. Opinion: I’m fine with ‘Remember Me’ winning but I actually prefer ‘This Is Me’ to win instead for the more powerful and catchy the latter is. I somehow find that ‘Remember Me’ is moving but has too simple lyrics and is overused in the movie ‘Coco’. Opinion: Yup! A very deserving win. Alexandre Desplat’s score for ‘The Shape of Water’ is unique, magical and it suits the movie’s vision very well. Opinion: I didn’t watch ‘Blade Runner 2049’ and hence not much comment on this but I have heard a lot of good feedback to this movie especially on its visuals and cinematography (lighting design). Opinion: I’m happy that ‘Get Out’ is not going home empty handed with this win here. A very competitive category. This is a very close race between ‘Get Out’, ‘Lady Bird’ and ‘Three Billboards Outside Ebbing, Missouri’. A horror movie that is so intelligent and achieves a level higher than all the other films in this genre should be acknowledged and I’m glad that the Academy did. Opinion: Competition is so much more less intense in adapted screenplay. ‘Call Me By Your Name’ is the clear favourite already because it is the only film which is also nominated for best picture. Enough said. Opinion: No comment. Didn’t watch any of these. Opinion: There is no competition this year for animated features. ‘Coco’ excels by a mile. It is a wonderful (both colourful and moving) animated movie and Pixar always do well here. Anyway, this movie reminds me a lot of 2014’s ‘The Book of Life’ (also an animated film…very similar theme and vibe). Opinion: I prefer ‘I, Tonya’ to win. I find that ‘I, Tonya’ has much more obvious masterful editing than the other nominees. The Academy seems to have deep fascination to war films and will keep choosing them to win in technical categories like this ‘film editing’ and both ‘sound mixing’ and ‘sound editing’. Opinion: Bad outcome for ‘Planet of the Apes’ franchise. After three attempts, this franchise still couldn’t manage to win an Oscar for their brilliant visual effect (the apes really look very realistic). This final film of the series delivers the highest chance for it to win but lost to ‘Blade Runner 2049’ in the end for the more futuristic looking visuals in the latter. Opinion: Another victory for ‘The Shape of Water’. Very well deserved. The sets in the movie are incredible and adds up a lot to let the audiences immerse into the story and the setting. Opinion: I still couldn’t find the difference between ‘sound mixing’ and ‘sound editing’. Academy, just combine them into a single category. The winner and all the nominees in the two categories are the exact same. What’s the point?! ‘Dunkirk’ is exceptionally good in sound and is right to win these two although I find it overrated (I didn’t enjoy the movie). Opinion: The only win for ‘Phantom Thread’ as predicted. The movie about costumes is winning ‘Costume Design’. Well, what more can I say? Opinion: A deserving win for ‘Darkest Hour’ for its amazing work on Gary Oldman in transforming him into Winston Churchill. The Academy should expand the nominees to 5 just like the other categories. Well, the 90th Oscars has ended. The major awards season for 2017 Hollywood films is over too. ‘The Shape of Water’ becomes the biggest winner with 4 wins including the coveted ‘Best Picture’ title. ‘Dunkirk’ slightly over-performed with 3 wins while ‘Three Billboards Outside Ebbing, Missouri’ slightly under-performed with only 2 wins. ‘Coco’, ‘Darkest Hour’ and ‘Blade Runner 2049’ each has 2 wins. ‘Call Me By Your Name’, ‘I, Tonya’, ‘Phantom Thread’ and ‘Get Out’ each has 1 win. ‘Lady Bird’ and ‘The Post’ are the two films nominated for best picture and not winning anything at all. I find that there is no clear favourite for this year’s Oscars and the awards are well distributed to a lot of movies. This year’s outcome is one of the most satisfying in my personal opinion as most of the results is much expected. I have been keeping myself 24 hours a day in my room concentrating on reading plenty of online articles and websites on the topic for my dissertation proposal. I have a Part 1 submission on Monday and hopefully I will get it done by tomorrow. It’s been tiring for my eyes to read lines by lines in those articles the whole day. Actually, I have been doing this for the past few days as well to the point that I have neglected my design studio unfortunately. Time goes by unbelievably fast. A month of the semester is already over. I felt as though we have just started the semester. Now, about a quarter of it is gone. More and more submission deadlines are coming in and that makes a stressful time out of my life. What to do…that’s the life of an architecture student. Now, I can’t wait for the two weeks of break somewhere on mid of April. That would be a great time for me to catch up on my assignments while still having the time to chill and relax. 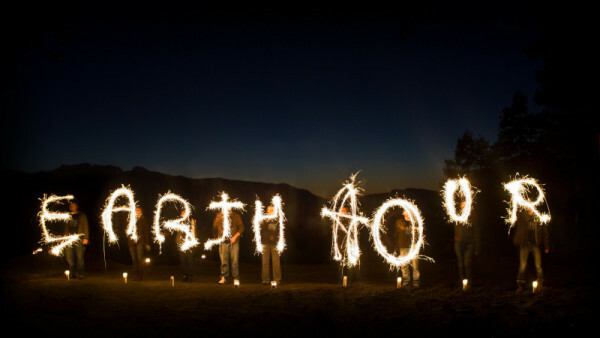 On the other hand, I almost forget that today is the Earth Hour event. Started 10 years ago in 2007 at Sydney, Australia, this event of switching off non-essential lights for one hour from 8.30pm to 9.30pm (local time) has becomes a worldwide phenomena ever since. Well, it doesn’t play much role on saving the Earth but the event at least has the potential and impact of raising awareness among the general public on the importance to take care of this lovely planet. But since I’m doing my assignment just now during that one hour, I couldn’t bother but to continue on my work without switching off any lights at all. Unfortunately, this event is also getting lesser and lesser attention on each passing year. I noticed there are a number of cool movies coming out this month and I don’t have the time and opportunity to watch them unfortunately. They are ‘Power Rangers’ movie (the original series made up part of my childhood entertainment), ‘Life’ (movie about an extraterrestrial invading the outer space station), ‘Beauty and the Beast’ (a live-action remake of the animated classic starring one of my favourite actresses, Emma Watson), The Boss Baby (an animated comedy that looks promising from its trailer), etc. How nice it is if I have a few days to be totally free and watch all of them, and the spare time will be spent wandering around in the city too. I also wish to visit Fremantle. Since coming back to Perth last month, I have not been to Fremantle yet. But now, I couldn’t get my mind off from those assignments! Damn…what a stressful life. Star Architect Zaha Hadid passed away. A great loss in the world of architecture. I was in shock last night when my Facebook page was suddenly flooded with news of Zaha Hadid who passed away yesterday on the last day of March 2016. She died of heart attack at the age of 65. Zaha Hadid is a name everyone in architecture field recognizes. She played a very huge role in shaping what contemporary architecture is today from her many prominent design works across the world. She was also regarded as being the most famous architect of our generation. If you didn’t know anything about her, here below is some brief background of this talented woman. Zaha Hadid was an Iraqi-British architect born on 31st October 1950. She studied mathematics at the American University of Beirut before moving to study at the Architectural Association School of Architecture in London, where she met Rem Koolhaas, Elia Zenghelis, and Bernard Tschumi. She worked for her former professors, Koolhaas and Zenghelis, at the Office for Metropolitan Architecture, in Rotterdam, the Netherlands and she became a partner in 1977. In 1980, she established her own London-based practice. During the 1980s, she also taught at the Architectural Association, an architecture school which is one of the best in the world. She became the first woman to receive the Pritzker Architecture Prize (2004), the highest architectural prize presented for an individual annually. She also received the Stirling Prize in 2010 and 2011, another prestigious award in architecture field. In 2012, she was created a Dame Commander of the Order of the British Empire for services in architecture and in 2015 she became the first woman to be awarded the RIBA Gold Medal. In 2008, she ranked 69th on the Forbes list of “The World’s 100 Most Powerful Women”. Her contribution in architecture spanned almost four decades with countless of her completed projects across the world. She was famously known for producing curvy and fluid forms in her designs. Her buildings are distinctively neofuturistic, characterised by curving forms with “multiple perspective points and fragmented geometry to evoke the chaos of modern life”. When you saw a building that was designed by her, you can instantly recognize it. IBA Housing, Germany (1993) – Zaha Hadid’s first realised project. Vitra Fire Station, Germany (1994). Bergisel Ski Jump, Austria (2002). BMW Central Building, Germany (2005). Guangzhou Opera House, China (2010). Heydar Aliyev Cultural Center, Azerbaijan (2012). Innovation Tower, Hong Kong (2013). Dongdaemun Design Plaza and Park, South Korea (2014). She truly had crafted some of the most beautiful and groundbreaking designs in the world. From small humble structures to impressive magnificent landmarks, her contribution and dedication in architecture was priceless. She truly was one of the greatest architects of our generation who had inspired and influenced a lot of us. A wonderful architect, an inspiring legend. Rest in Peace, Zaha Hadid. We have lost a giant in architectural world. City of Perth Library by Kerry Hill Architects. Two weeks ago in a site visit from one of my classes, I had the opportunity to visit a wonderful place in the Perth Central Business District (CBD). It’s the City of Perth Library. The library has been housed in a number of locations before it moved to its current location in a new building along the Hay Street and next to the Perth Town Hall. The new library building costing up to AUD 60 million is designed by Kerry Hill Architects and it is officially opened this month. I was quite in awe when I first visited this library. It’s not a very huge library but it’s one of the most beautiful libraries I have ever seen. Beautiful architecture and a very luxurious and comfortable environment inside. Definitely a perfect place for readers and even just for the wanderers like us two weeks ago in the site visit. The library has a circular design with seven floors, glass facades, and stone-clad columns. Some interesting features of the library include the spiraling staircase enveloping all the different levels in the center of the building, a central atrium with a huge painting and a skylight above, indoor roof garden, outdoor reading or sightseeing area, slanting top floor / attic level, and some details like the lighting along the handrails, folding door mechanism, etc. Here below are some images I took of the library which clearly define how beautiful its architecture is. I would like to visit this library again soon. This Easter weekend: Time to choose which side you are on, Batman or Superman? Happy Easter Weekend! I’m not a Christian, I didn’t celebrate it, but I’m too in the excitement of most of the people here in Australia who treat this festival as among their most important celebrations every year. In conjunction with that, there’s no class today (Good Friday today) and also for next week too. Wonderful holiday. This short break would give me the much needed time to relax while doing on some assignments for my study without the need to rush (I hate rushing for deadlines). Since there are not much to do today, it’s the perfect time to go out for a movie. A movie’s ticket here in Australia is very expensive (four times the cost of a movie ticket back in Malaysia), but I still wanted to watch this movie quick. Yup, it’s the ‘Batman v Superman: Dawn of Justice’. I’m not a comic book fans (Marvel, DC or whatever it is) but I have the urge to watch this highly anticipated movie of the year. Despite receiving early criticism especially in the casting and that criticism continues to the poor reception it has right now from many critics, I still wanted to see it. I believe many will too, so that we can judge it by our own eyes. After seeing it, I can say that it is not a masterpiece (some die hard fans praised this movie to the max) while it is not a rubbish film either (some fierce critics calling this extremely bad). It’s just an overly-hyped average film that only marvels in its visual spectacle. Nothing else. In comparison, Marvel still do a better job in their superheroes films in the past. Well, they both went in different direction; Marvel goes for funnier and brighter approach while DC loves darker tone. I’m fine with DC’s darker theme but there can be something more to their outcome. DC did it right in Christopher Nolan’s Batman trilogy. However, both ‘Man of Steel’ and its latest sequel now ‘Batman v Superman: Dawn of Justice’ couldn’t reach that level. If you have high expectation entering the cinema watching it, you would be disappointed. I didn’t mean that it is bad; it was just mediocre. The movie is slightly too long; taking 2 hours 30 minutes. As I mentioned earlier, I’m not a comic book fans and so I’m not interested in the plentiful background story and character’s development especially for Batman in this movie. It’s a bit too much and I think some scenes (especially his many dreams of fear) can be cut off. The continuity of some scenes is also bad. The cast contributed steady performances on the other hand. Henry Cavill is being the same Superman like he was in ‘Man of Steel’. Same goes to Amy Adams as Lois Lane. Ben Affleck had proven to his earlier critics that he can be a great Batman too. As for Jesse Eisenberg, his take on the villain, Lex Luthor is different as required by the director. He is doing fine and I’m alright with him being cast as the famous Lex Luthor. I can see that he had put in a lot of effort to take on this big role (his expressions and gestures are good actually). It’s just that his character is being written to be not memorable enough (couldn’t match The Joker’s level in The Dark Knight for instance). But that is still interesting enough compared to the other characters in this movie. So, Jesse’s haters out there, stop criticizing him..he didn’t screw the movie up. Gal Gadot is wonderful as the Wonder Woman but she didn’t get much screen time here yet. The story here is much deeper compared to Marvel’s films. It focused more on ideologies/philosophies, symbolism, politics, and threat of power and its perception by people or certain individual. It is a refreshing new theme to explore, but it may not please the wide audiences. Fortunately, the movie is still filled with some great fight scenes (of course the one between the two titular roles as well as the final battle together with Wonder Woman with the Doomsday created by Lex Luthor). Opps…Batman appeared to be not much of a help in the final battle since Doomsday is too strong for him. As I said earlier, the movie also delivered with wonderful visual effects (awesome CGI works done on most parts of the movie that heavily requires it). The ending is quite emotional (won’t reveal more spoiler here) and it actually paves the way for more DC superheroes films, eventually expanding DC cinematic universe just like what Marvel did (Marvel does it earlier). Overall, the movie is still fine and worth to watch. Out of 10 points, I rate ‘Batman v Superman: Dawn of Justice’ a total of 7.2. Despite the poor reviews, it would still be a massive box office hit worldwide due to the fame of these two big superheroes sharing the same film. I’m guessing that it would earn over USD 1 billion in the end too. Well, to answer back my question on the title of this blog’s post on which side you are on…Batman or Superman, my choice would be Superman, since he is far more superior and stronger than Batman who has to rely on gadgets (not useful against Superman except Kryptonian). Batman is still a human, while Superman is an alien with superpower. So, my side is on Superman. Wait, did he really died in the end of the movie? Opps…spoiler. Not having any classes today, I decided to go to the Perth city centre this morning. The reason for it is that I have to visit ‘Titanic: The Exhibition’ currently being held in the Perth Convention and Exhibition Centre (PCEC) at Pavilion 6, Level 1. The lecturer of my culture class visited it and recommended me to pay a visit to this exhibition as I would be writing a scholarly essay later based on this ill-fated ship for my assignment under her subject. As a student, I do get a cheaper ticket price, but it still costs me over AUD 30. That’s still expensive (about RM 100 in Malaysian currency), but I do make full use of that money by reading and analyzing almost all the displays in the exhibition and it took me two hours to finish the tour. I think everyone in this world must have heard of the word ‘Titanic’. It is universally known not only because of the magnitude of its sinking back in 1912 on its maiden voyage, but also due to the immense popularity of a 1997 movie of the same name. That particular epic motion picture directed by James Cameron won audiences’ hearts and subsequently winning 11 Academy Awards including Best Picture. Everyone is melted by the love story between Jack and Rose from the movie. It also became the first movie ever in history to cross over US$ 1 billion in original box office release and remain the highest grossing film worldwide for many years before being surpassed by another James Cameron’s movie called ‘Avatar’. Let’s put the focus back on the ship itself and the exhibition I had just visited this morning regarding its rich history. The ship named RMS Titanic under the ownership of White Star Line was the largest and the most luxurious ship of its time when it was built and first set sail. On its maiden voyage from Southampton, UK to New York City, USA, this British passenger liner struck an iceberg and sank in the North Atlantic Ocean on the early morning of 15th April 1912. This resulted in death of over 1500 people out of about 2200 people on board (only about 700 people were saved from the doomed ship), making it one of the deadliest maritime disasters in modern history. The exhibition is filled with interactive installations, graphic art, music and videos, artifacts, costumes, postcards, newspaper articles, as well as recreations of the ship’s luxurious interiors (Grand Staircase, First Class Corridor, First and Third Class rooms). The exhibition also included memorabilia from the 1997 blockbuster movie I mentioned above including the famous ‘Heart of the Ocean’ jewelry and the painting of Rose by Jack. The exhibition started with a photo section on the very edge of the ship (where Jack and Rose’s famous postures are in the movie) and ended with a small shop selling Titanic-themed souvenirs. Before I enter, I was presented a boarding pass with a name of a passenger who boarded the ship in 1912. In the exhibition later on, I can check whether the passenger in the boarding pass survived or died from the tragedy or not from the list of survived and lost passengers on a huge wall. I had quite a good time going through the exhibition and I’m almost moved to tears by this sad tragedy that took place over a hundred years ago. Nevertheless, my focus in the exhibition is still on finding great information for my Culture assignment of which I selected this particular ship on examining and analyzing how luxury took its form in the ship from its architecture, interior, fittings, accessories and the passengers that varies, depending on the classes of the people on board. I find this topic interesting and has a strong connection to my Architecture and Culture class. Hence, this exhibition that happened to be held right now (will end on this 20th March) is a good platform for me to gain valuable information for my general knowledge as well as for my personal assignment. The exhibition is good, but can be better. The lighting is not sufficient in some areas. Besides that, interactive installations are also not enough, making it not a very engaging exhibition especially to young kids (they don’t like to read the sea of words on the wall). The recreations of the ship’s interior are great but I’m actually expecting a bit more of that too. The organizer should also put a huge replica (model) of the ship to amaze visitors. Anyway, it is still a visit that gave me a further understanding of the ship’s history and is recommended especially to those who have not known much of the ship before and are eager to find out more. (Copyrights reserved to all the images in this blog post). It’s Earth Hour 2015 tonight. Do your part. It’s just a simple action, but a strong symbol of unity and determination to love and care for our planet, Earth. On this evening, from 8.30pm to 9.30pm, …..you should know what is going to happen in that one hour, right? I hope I don’t need to remind you again. It’s the annual Earth Hour event. I don’t want to say anything more, as all that matters now is a prayer of blessing to Mr. Lee Kuan Yew, and also to the victims on board the recent Flight 4U 9525 that crashed onto French Alps, and a simple action of switching off non-essential lights for an hour tonight from 8.30 to 9.30 pm (your local time) in support of this positive Earth Hour movement globally. It’s a very effective action to create awareness among people to love the Earth and a symbol for us to do more than just the one hour to care for the planet. We stand united in support of Earth Hour 2015. Will you? What you can do in this one hour of darkness tonight? I can suggest many; getting outdoor to enjoy the night sky of stars (I’m sure you must not have done that for a long time), light a candle or two, avoid from surfing internet or playing your phone or computer, enjoy the time with your family or friends, or simplest of all, just have a nice rest you deserved! After the one hour, with lights all turned on back (if necessary), it’s time to think and act further than that. For me, I have to work very hard to reduce my habit of throwing many rubbish every day. Should practice 3R; reduce, reuse and recycle. What about you? In Malaysia, many shopping malls, public spaces, restaurants, cafes, and iconic landmarks will switch off lights tonight in support of the event including the iconic Petronas Twin Towers and KL Tower. 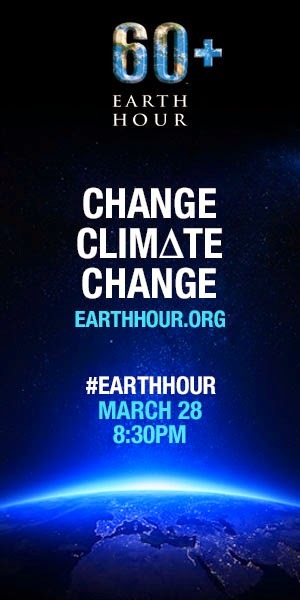 I believed my country started participating in this global movement in the early years when Earth Hour campaign started to spread internationally. And I’m glad we support it since then and never stop. But I do hope that more Malaysians will do so, as I find that there are many of us who are not even aware of the existence of this campaign yet. What a surprise! We should actually do something to promote this great event further to all Malaysians, and if possible, to every corner of the world. Tonight, I will be out for my usual family dinner and so there would be no one at home. So, lights off. Even if you are at home tonight from 8.30 to 9.30pm, try to be in the house with lights off too. Assume that there is a blackout, or just be in the darkness for a while. Your simple action is already very much appreciated. On behalf of Earth Hour’s campaign, I said thanks to you first if you are willing to support. A blogger who keen to share his life stories and interesting information and views on movies, sports, travel, politics and architecture. Have been here for 10 years, and that well explains my deep passion in blogging. 20 coolest buildings in Singapore. Two viral news on the past Tuesday; cathedral’s fire and taxi scandal. Marvel rules at the box office again. Marina One is a perfect example of a design that you should not judge a book by its cover. First quarter of the year done and dusted. Drama review for TVB's 'Apple-Colada'. Review for TVB drama 'Mind Hunter' (2017). No longer 21. Happy 22nd birthday to myself! Drama review for 'Fist Fight'. Top 5 'vertical cities' in the world.